Happy from 4pm to 6 pm & from 9 pm to close daily, only in bar. The Oregon Electric Station was originally designed by A. E. Doyle and opened its doors in 1914 as the final stop of the electric railway, connecting people throughout the Willamette Valley. Local newspaper headlines declared it to be "the greatest day in the history of Eugene." Today, this same building has been restored as the new Oregon Electric Station Restaurant and it remains as busy today as it was when the station was built. 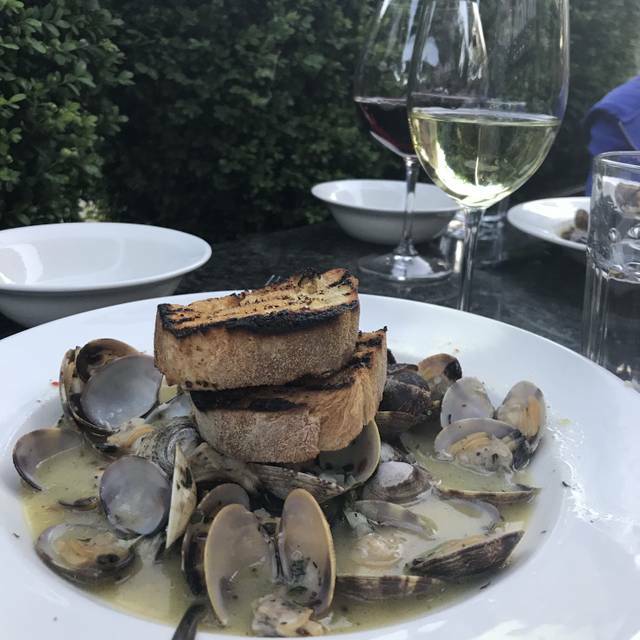 Over the last 100 years the building has been listed on the National Historic Register, and has become a landmark of social significance that has a union of historic value and incredible dining experiences. Our menus are globally inspired and artistically crafted, striving to use sustainable and locally sourced ingredients. Representing the rich history of Eugene as well as its surrounding fertile lands, Oregon Electric Station is committed and dedicated to the quality of their product, ambience, and hospitality. We are doing brunch from 10 am to 3 pm. Please call 541-485-4444 for details. As much as we love the ambiance and the service was great, the food was meh. We’ve been disappointed the last 2 times we’ve eaten here. 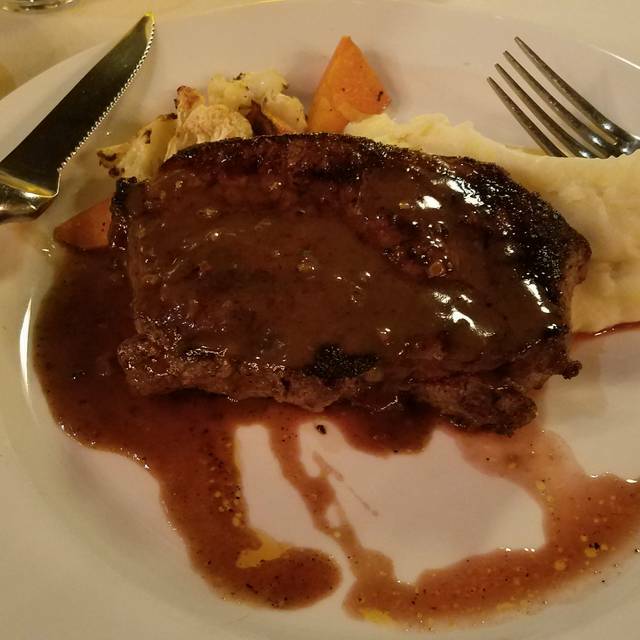 Our friends order was wrong, had to wait for them to correct it to then get an undercooked steak that he had to send back again. They were very nice about the correction. The bread tested like it had been in the freezer and the focaccia has soooo many crunchy mill type stuff on it that it was very messy and tasted blah. It was very slow for a Saturday night which felt odd. Overall it was not worth the money. Atmosphere A+, asked for a quiet space on a Friday evening and they delivered. A little let down by the amount of ravioli they served for the price and the chicken fettuccine Alfredo had a different taste (wouldn't order either again). Will return. 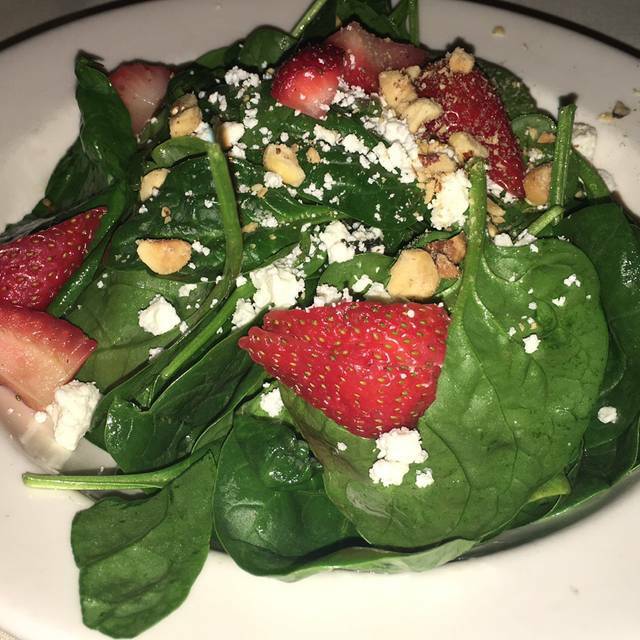 Super food, and terrific service. Bottle wine list is good, but pricey. Service is the best in town. OES was recommended to us. This is a very nice fine dining establishment. 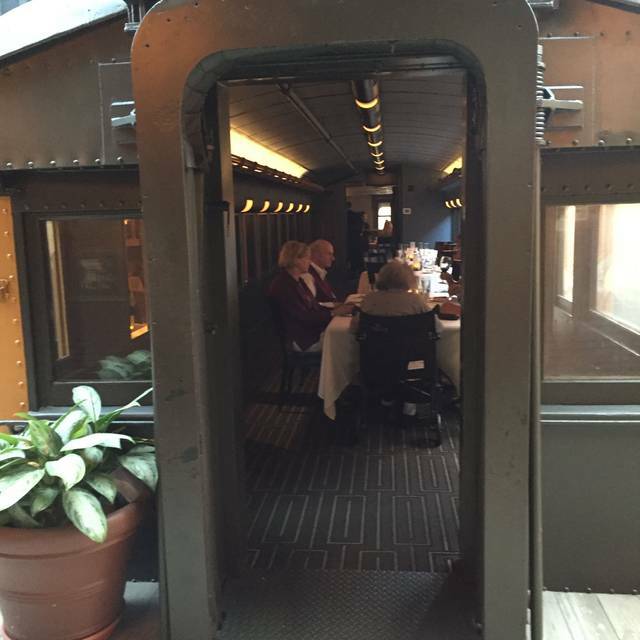 Our table was in one of the train car booths and the noise level was higher than the open dining space. We had prime rib and the house burger. Ample servings that we could not finish, but delicious. Creme brulee finished off our meal. Service was attentive and not intrusive. For a special dinner out, I recommend OES. One of my personal favorite places to eat. The best. Had the Calamari, Iron Horse Burger, and Porter steak. All our food was excellent, the waitresses passing our table were all attentive and friendly. The tomato/basil enriched olive oil for the bread was surprisingly delicious and in the same mouthful as the porter was to die for. Excellent meal! Meet quality was not so good. And also service is too quit. This is one of my favorite places when we come to Eugene. The atmosphere is so cool, the service is exceptional and the food delicious. Best yet, you get all of this for an outstanding value. Good food. Good service and overall good experience at the Oregon Electric Sation. Environment was fantastic as usual. Food was very good, but unexceptional for the price point. Great place to celebrate my grandson’s admission to the business school at U of O! Go ducks! with age! Service was great for a Saturday night and accommodating for special requests. Food was very good and the wine was excellent. Will be making a few more visits in the future. Using OpenTable was extremely easy and accurate as well. Food was good; vegetables could have been a little more tender. Enjoyable experience! Wonderful food great service but it is not $30 and under. Most steak and seafood is over $30 and some well over that price. It is worth the money! Overpriced for the quality of the food. Could not cut rack of lamb with knife that was provided. 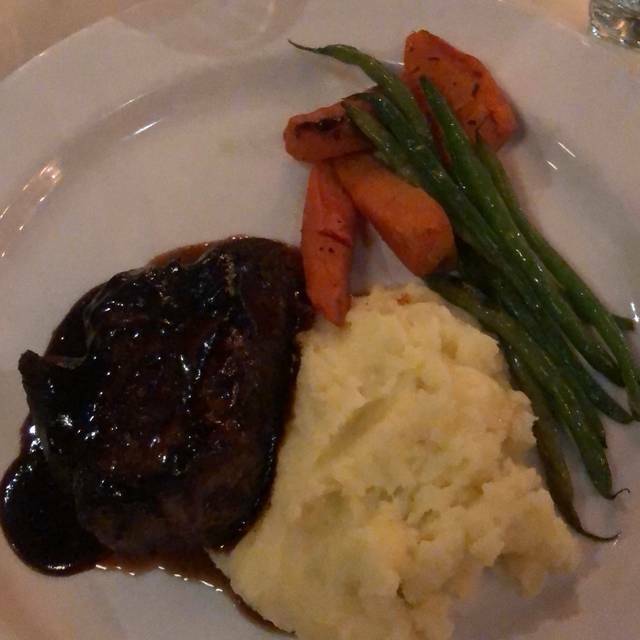 Only complaint---it was my husband's birthday, loved the filet, but can't you find something other than carrots and zucchini for vegs, he hates those. He thought the French onion soup was fantastic and I have to figure out the herbs used. My ahi was fantastic and believe it or not, the pear in it went well with the pinot noir. Great birthday and the dog got no leftovers. Rack of lamb was like butter; New York strip perfect and prime rib awesome! Chef definitely knows the perfect meaning of rare! Appetizers, wine, dessert.....all outstanding along with an equally outstanding waitress! Absolutely my new favorite place! Thank you Oregon Electric Station for the wonderful service. 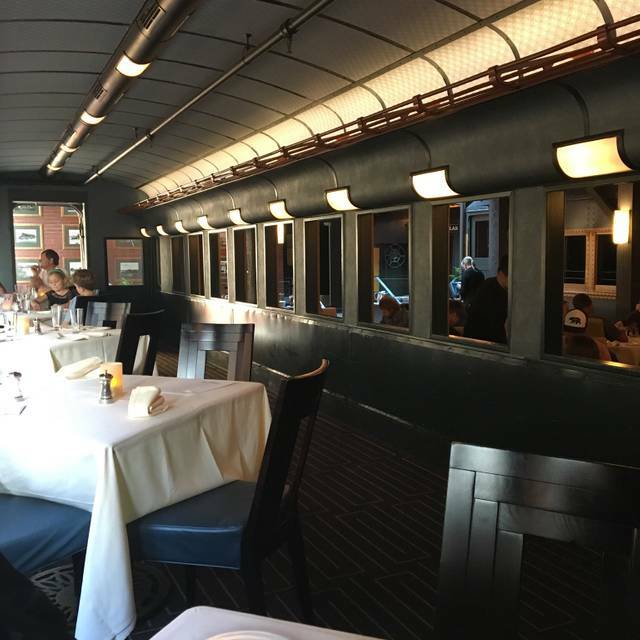 We enjoyed both the meal and eating in a real train car. Thank you for making our night very special. Fabulous, we were seeing a show at the Hult and service was quick. Great place to meet our friends. Everything was great! I’ll definitely come again soon! 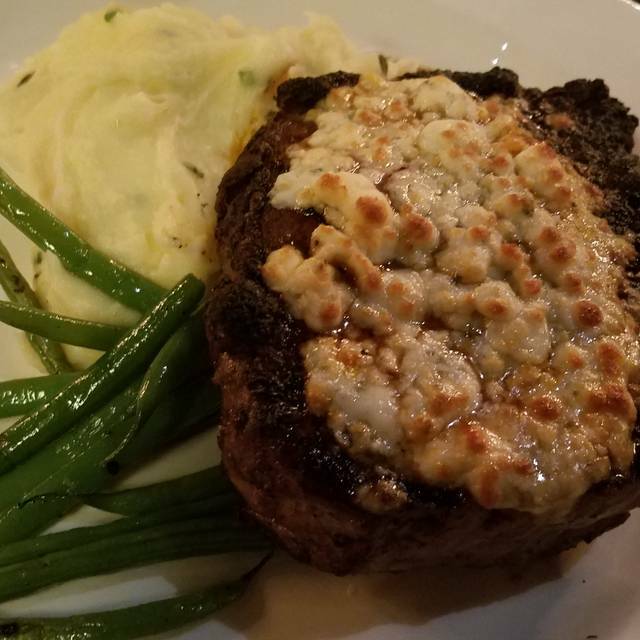 Delicious filet mignon. Love the electric lemonade! 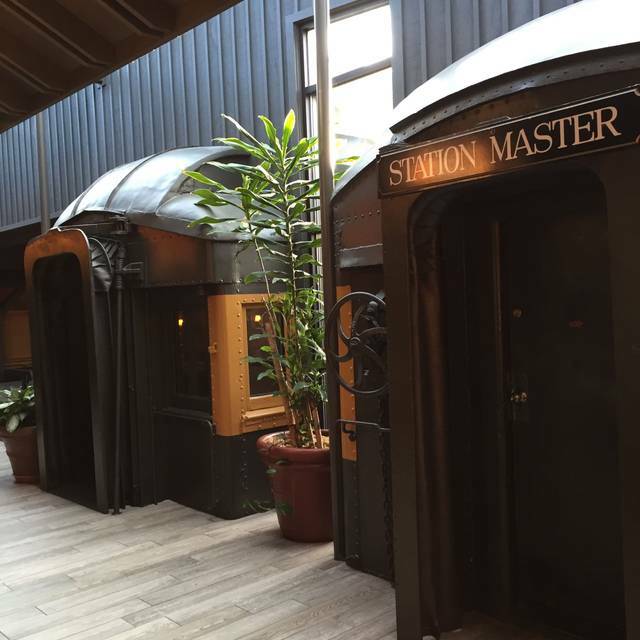 Great food with an unusual table setting in railroad train cars. We really enjoyed it. Steaks were prepared perfectly and the waiter staff bent over backwards to make us feel welcomed. I plan to revisit the OES restaurant next time I visit Eugene. It was a very busy night at OES and despite that, the staff was VERY ATTENTIVE to my father, who was celebrating his 94th birthday. He was thrilled, we were so pleased. GREAT food and service. Staff was helpful. slightly on the plus side of cost but very well worth it! Great food, great service, great ambiance! We will be back! Since we have food and wine here often it is always nice to recommend OES. We had an idea change for dinner by eating all of our food from the appetizer menu. Great choices for tasty food. Good wine, fast service, and wonderful server and bartender. We finished the evening with Port wine and the fireplace. We were seated promptly and the wait staff was excellent. All three of us ordered clam chowder, and although the flavor was excellent, everyone's chowder was lukewarm at best and had to be reheated. The Caesar salad was good but underdressed. I like this place and feel it has potential, it just needs some fine tuning. The overall experience was wonderful. The service was delightful and very accommodating. We got a bottle of wine, french onion soup, salad, prime rib, lobster and rib eye. We received a free dessert for our birthday dinner, which was outstanding. The atmosphere was wonderful and we really enjoyed our overall experience. We would recommend to anyone. Make reservations. Chris and the other servers were outstanding...really made the evening specials!! Chic.and eccentric atmosphere, perfect pre theater dinner! OES was over priced. Food was ok but not worth the price, especially the seafood and steaks. For example, you can get better cuts of meat at Safeway, grill them yourself and end up with a better meal, great flavor, and have money left over for a movie, gas, and snacks.